SOLD OUT! WAITLIST OPEN. Late season Match up! 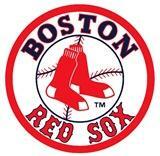 Help the Sox become the American League Champs. We have a limited number of Grandstand seats, which we will be offering to alumni and one guest at reduced prices! We'll meet before the game at Jillian's Boston (second floor) for dinner, and then head to the game!